A company’s image is reflected in the quality of its translation. All the translations handled by SIMULTANEA are done by native speakers, highly qualified and members of professional associations in the sector. 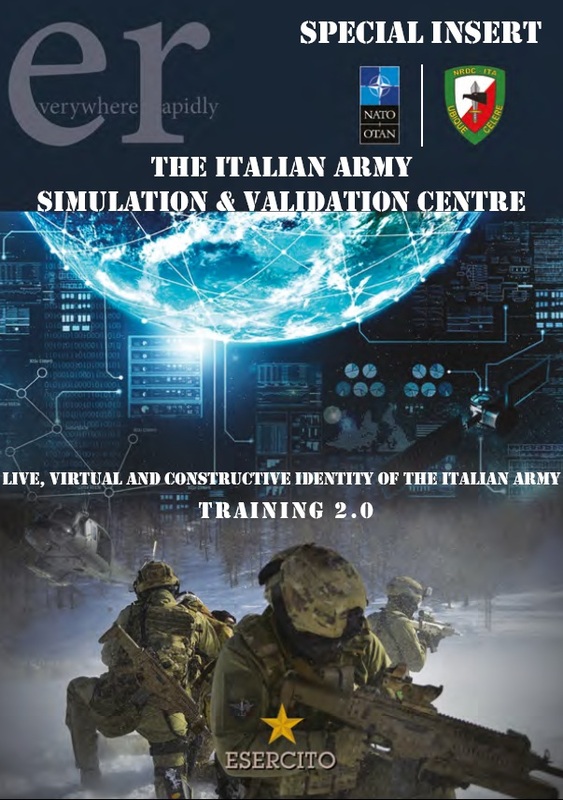 Special Insert The Italian Army Simulation and Validation Centre of the magazine ER - Everywhere Rapidly 2017 issued by NRDC - NATO Rapid Deployable Corps Italy. Catalogue issued by the Italian National Council of Architects, Planners, Landscape Architects and Conservationists (December 2015). Ongoing wirtten translation service by Simultanea Sas from foreign languages into Italian of articles for the ERSAF Lombardia Plant Health Service website. Manuela Ravetta and her staff are personally responsible for handling all the agency’s work, ensuring that every text is translated by a professional who has expertise in the subject as well as being specialised in the source language. More than 200 expert translators guarantee translations into every language, from Polish to Swahili, Hebrew to Portuguese and Chinese to Japanese. Simultanea has always offered a dynamic and efficient service, and can provide quality translations in all languages, even to very tight deadlines, to meet the client’s needs. When you entrust Simultanea Sas with a translation service, you can be sure that your files and confidential documents will always be handled with the utmost professionalism and in the strictest confidence both by our staff and by our freelance collaborators. With more than thirty years of experience in the language field, Simultanea Sas provides language and translation services in all major languages and many “rare” languages to clients across a wide range of industries. Many firms see us as their language consultants. See our Customers page to find out some of the companies we work for, and the Reviews page to read our clients’ opinions of us. Through our global network of professional linguists, Simultanea Sas is one of the most renowned providers of language services. From written translations to conference interpreting and equipment rental, Simultanea Sas provides its clients with the highest standard of services at very competitive rates. Web pages, newsletters, portals, websites in foreign languages, websites, IT translation, software localisation and SEO. Contracts, mergers, agreements, corporate documents, powers of attorney, disputes, intellectual property, regulations, arbitration, legal opinions, labour rights, privacy, mandatory information, contractual documents, legal disputes, delegations, directives, arrangements, affidavits, letters of request and memoranda. Consolidated financial statements, annual reports, reports of the board of statutory auditors, Investor Relations reports, social audit, accounting audits, due diligences, accounting inspections, auditors’ reports and financial documentation. Technical manuals, instructions, catalogues, software and manuals, tenders and technical specifications. Advertising, leaflets, brochures, presentations, market research and price lists. Training manuals, articles, magazines, books, leaflets, brochures, folders, periodicals, illustrated books and texts. Reports, clinical reports, medicine, biology, chemistry, physics, psychology, bio-engineering, pharmacology. Guides, posters, brochures, window bills and menus. Press releases, collection presentations, garment descriptions, fabrics, leather goods, costume jewelry, accessories, production processes and finishings. translators today work with computers, and the times when texts were translated by hand, on sheets of paper, are a fond but distant memory. Over the years, numerous software supports have been developed to help make translating faster (for example, translation memories that make it unnecessary for a translator to search repeatedly for the same terms). It is, however, a mistake to think that machines will replace human translators in the near future. Every language, in fact, is in constant evolution (neologisms, slang, etc.) and includes subtleties, shades of meaning and expressions that no app or translation software is currently able to render satisfactorily. For this reason, relying exclusively on an automatic translator to translate a text often leads to bizarre and even comical results. There are many kinds of translations, but they can be divided into two principal categories: literary (narrative fiction, essay and journalism) and technical-scientific (dealing with specialized technical and scientific sectors). The second category, for example, includes translations of a financial and economic type, as well as legal, medical, scientific and digital documents. In over 30 years in the business, we have translated subtitles, advertisements, patents and instruction manuals, in addition to comics, software, website content, books, videogames and even song lyrics and poems! Except in unusual circumstances, each translator works from a second language to his/her mother tongue, to ensure the best possible rendition of the source text and the transmission of every linguistic subtlety. If you are in possession of useful documents or glossaries containing technical terms that you would like included in the translation, do not hesitate to provide them to us: the translator will keep them absolutely confidential while using them to perfect the text in question. When you forward a text to be translated to Simultanea Sas, we carefully consider which of our translators is specialized in the required sector: a person can be fluent in a given language and still not be suitable: a translator specialized in literary texts may not be able to provide an impeccable translation of a technical document, and vice-versa. Likewise, if you are considering using a text in a different context from the one in which it was originally translated, do not hesitate to consult us for an informed opinion. 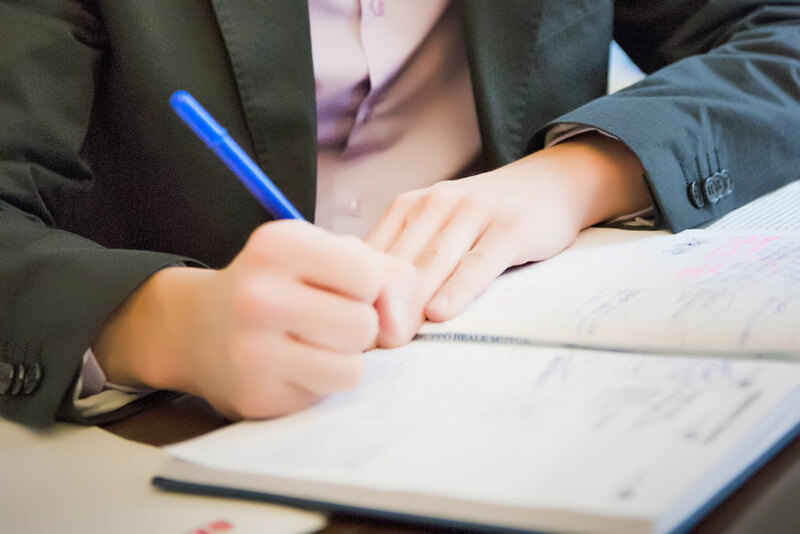 When you entrust a translation to Simultanea Sas, we try to ensure that the professional assigned to the task has sufficient time to complete it in the best way possible. In cases in which it is instead essential to translate a long text in a few days, Simultanea Sas puts together a team of translators among whom to subdivide the text; each translates a part of the text, agreeing upon specific terminology, acronyms, etc., so that the final outcome will be uniform and not discordant. After you have received a translated text from Simultanea Sas, if you have additional comments other than those about specific terms we may have already had doubts about and clarified with you, do not hesitate to tell us: every suggestion or explanation is valuable and contributes to a constantly improved outcome in future translations on the same or similar topics. A translator translates text from one language (the source language) to another (the target language, which is the translator’s mother tongue), ensuring the maintenance of the cultural and linguistic characteristics of the source text. Translators are specialized in one or more subject areas, since knowing a language well is not sufficient for understanding specialized topics or jargon (just think of the difference between advertising lingo and legalese, or the financial-economic lexicon typically used in financial statements). This leads to the distinction of two macro-categories of translator: literary translators, who specialize in narrative prose and essays/articles, and technical-scientific translators, specializing in sectors like medicine, the law or economics/finance. While in the first case, it is essential to convey the spirit and emotions evoked by a literary text, in the second it is more important to utilize the correct terminology and phraseology for the sector in question. The two professionals are quite different, although both work in the language sector. A translator is a trained professional who works with written texts, translating them into his/her mother tongue. An interpreter instead works with spoken language and, in order to meet the demands of the job, translates both into her/his mother tongue and into the foreign language(s) spoken by those present in the audience. Although mastery of language is a key requirement for both, a translator may not always be able to serve as an interpreter, as it is a specific skill, whose techniques are taught in specialized courses. “Conference interpreter” is a title indicating a specific professional, whose work is not, however, limited to “conferences”. In fact, her/his skills and techniques can be applied to interpreting situations of all kinds, from conventions and conferences, as the title indicates, to meetings, discussions and more informal settings. Simultanea Sas is a member of Federlingue (an Italian association of companies providing translations, interpreting services and language training, partnered with Confcommercio - Iimprese per l’Italia, Milan, Lodi, Monza and Brianza) and it has consequently adopted the Code of Conduct for the quality of language services. Written translations: Request now a free quote! Request quote!